THIS ITEM IS NOT AVAILABLE AT PRESENT. 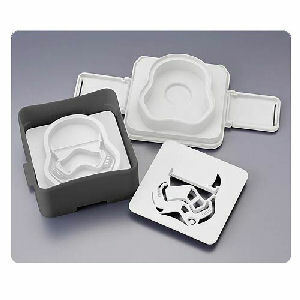 WE WILL NOT BE GETTING ANYMORE Star Wars BB-8 Serving Platter. From the Star Wars The Force Awakens collection by Think Geek. 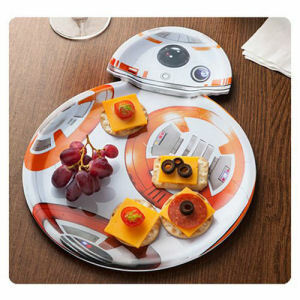 Star Wars BB-8 Serving Platter. Measures 11 inches wide. Hand wash only. Not dishwasher safe. Do not microwave. Ages 13 and up.